THE ongoing Safety Map work with students from East Derwent, Gagebrook, Herdsmans Cove and St Paul’s Primary Schools continues with the SRC students from East Derwent Primary School completing their first project. The students identified the underpass next to their school as an unsafe area due to the rubbish, glass, graffiti, spiders, dirt, and lack of safety rails. 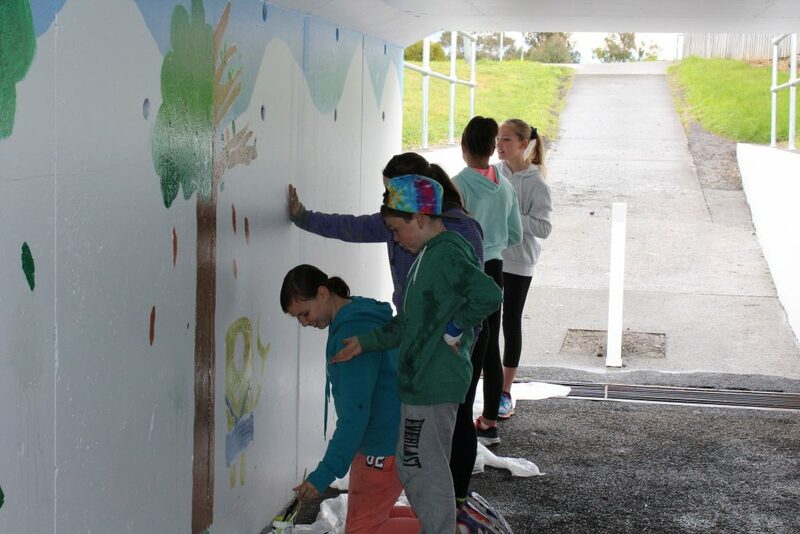 SRC students from East Derwent Primary School have completed their first project, painting the underpass near the school. The mural provides the backdrop for a brighter, safer area for students to walk to school. CRICKET is poised to take a big step forward at Brighton with the local team, the Brighton Eagles, applying to join the Cricket Tasmania Premier League competition and Brighton Council unveiling exciting plans for a new sporting complex at Pontville. Mayor Tony Foster and general manager Ron Sanderson met recently with Cricket Tasmania Chief Executive Nick Cummins to support the Eagles application and also to brief the State cricket body on the development plans for the new sports complex at Pontville. 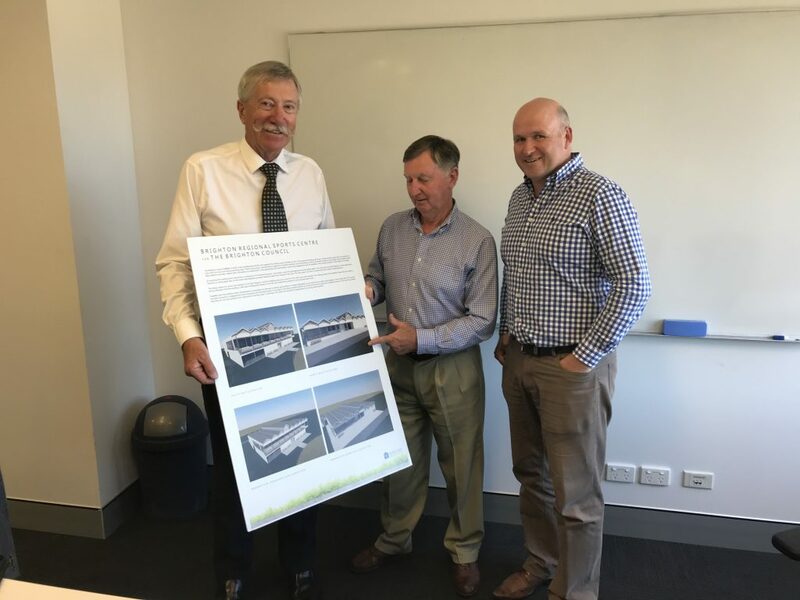 From left, general manager, Ron Sanderson, Mayor Tony Foster and Cricket Tasmania chief executive Nick Cummins examine the plans for the new Pontville Sports Complex. BRIGHTON Mayor Tony Foster says the past year has been a positive period for the Brighton Council and the local community.